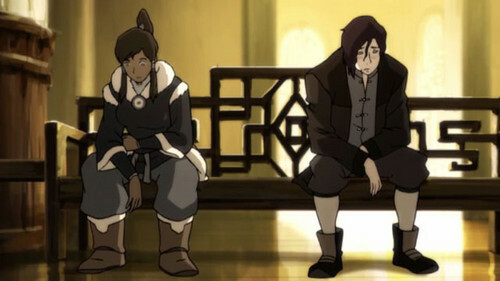 Korra and Tahno. From episode 7.. Wallpaper and background images in the अवतार- द लेजेंड ऑफ कोरा club. This अवतार- द लेजेंड ऑफ कोरा photo contains बिजनेस सूट.